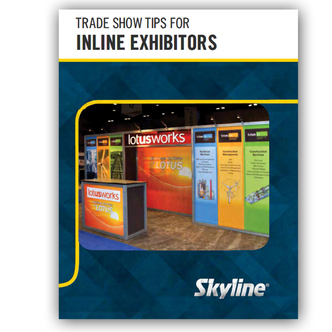 The inline booth is the workhorse of the show -- get the most from it. Request this free book which includes 25 articles on exhibit design, booth staffing, promotions, lead management, measurement, and more. Because even if you exhibit in the smallest booth at the show, it doesn’t mean you can’t stand out. Request this free book which includes 25 articles on exhibit design, booth staffing, promotions, lead management, measurement, and more. Because even if you exhibit in the smallest booth at the show, it doesn’t mean you can’t stand out.